I cannot tell you how much I love my sponsors. I put so much time and energy into this blog. And it is amazing to know that I have a team of people who believe in my writing and crafting. So to my sponsors- "Thank you!" With that said, we are now in November and it is time to think about holidays, entertaining and gift-giving. I have compiled the best of what my sponsors have to offer this season. Check out their special offers and let them know I sent you. Now let's show my sponsors some love! Stella & Dot via Jordin LePori: Check out this fabulous jewelry line that can be seen in InStyle, Lucky, and Vogue. Great gifts for under $50 and they come is such stylish packaging. From simple hoop earrings to bold statement necklaces, there is something for everyone. Visit my website at www.stelladot.com/jordin. Check out the LookBook online for great styling tips, too. 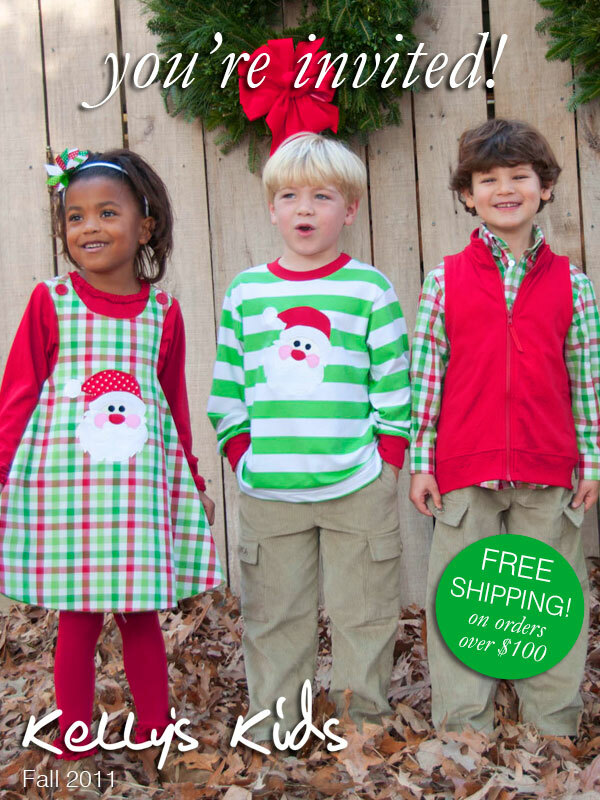 children's apparel--in sizes newborn - 14/16--wice a year for seasonal style! To view what's available, visit her facebook page located here! Kelly's Kids recently launched their spring '12 preview here and if you are interested in purchasing for spring '12 or hosting your own show to earn FREE clothing, don't wait and contact Hollie today! Happy Holidays from Hollie Smith, Kelly's Kids Sales Rep! North Texas Kids Magazine via Minette Riordan: Dr. Minette Riordan, publisher of North Texas Kids magazine, had tons of fun going on the hunt for the not-so-normal Holiday Gifts. She says, "I don't know about you, but shopping for my kids can be overwhelming. My husband and I don't want more of the same old plastic, disposable toys but things that will last, be fun and educational or get kids moving! Some of these I have seen samples of, but not all. We will continue to add to this list on our website, so check back frequently during November for fun updates!" 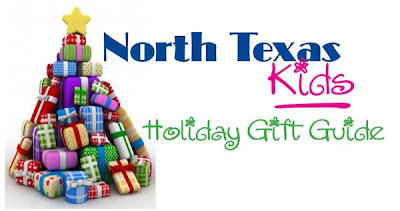 Know of a great gift that is no-so-normal but your kids love, email it to us at info@northtexaskids.com. Scentsy via Teresa Peel: How would you like to earn FREE SCENTSY!!! From now until December 15th, Every order placed on my website will receive a FREE gift. Order over $15 - earn a FREE Scentsy Scent Circle, order over $25 - a FREE Scentsy Bar, and order over $50 - receive a Free Scentsy Room Spray. Also, as an added bonus....everyone who places an order will have their name placed in a raffle for a FREE SCENTSY FULL-SIZE HOLIDAY WARMER! To be sure and receive your Free Gifts.....go to my website, www.scentslady34.com, and look for "Crafty Texas Girls" and click on "buy from party". Wanna earn more FREE and HALF-PRICED SCENTSY?? Just book a basket/catalog party. Everyone who books a party will receive a FREE Holiday Plug-in. SouthlakeMoms: SouthlakeMoms is offering a ton of fun ideas to prepare for the holidays. Thanksgiving is made easy with tips on finding the perfect outfit, yummy and easy recipes, and great decor ideas too. Christmas parties will be a snap with creative ideas for homemade gifts. Need a night out with friends? SouthlakeMoms hosts a monthly giveaway just for moms. This month, enter to win "The Ultimate Giveaway for Twilight Fans"- the package includes dinner for 2 at Stir Crazy and passes to Harkins Theater to the see the Twilight marathon including the premier of Breaking Dawn. For more details on all the at SouthlakeMom's has to offer- visit the site at SouthlakeMoms.com. Oopsy Daisy Baby: Oopsy Daisy Baby is thrilled to celebrate the holidays with a brand new Christmas collection. The collection includes three new bling shirts, sparkly pettiskirts, fur cuffs, polka dot leggings and more. For the ultimate, over-the-top looks this Christmas season, visit the online shop at oopsydaisybaby.com. Want to win one of the new holiday bling tops pictured below? Crafty Texas Girls will be hosting an exclusive giveaway next week! Keep up with all that Oopsy Daisy Baby has to offer--- follow them on facebook for the best offers, updates and promotions. More good things to come from Crafty Texas Girls this season, so please make sure to follow via Google Reader or subscribe by email-- both options are available on the right side of the blog.